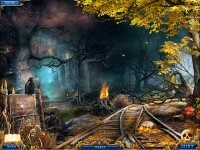 Tell someone about Dark Dimensions: Wax Beauty Collector's Edition Game! Aw. If Andy was still working there (and if I wasn't in other parts) I would've dropepd in to say hi. He was always the best reason for going there apart from the awesome collection of CDs and vinyl.